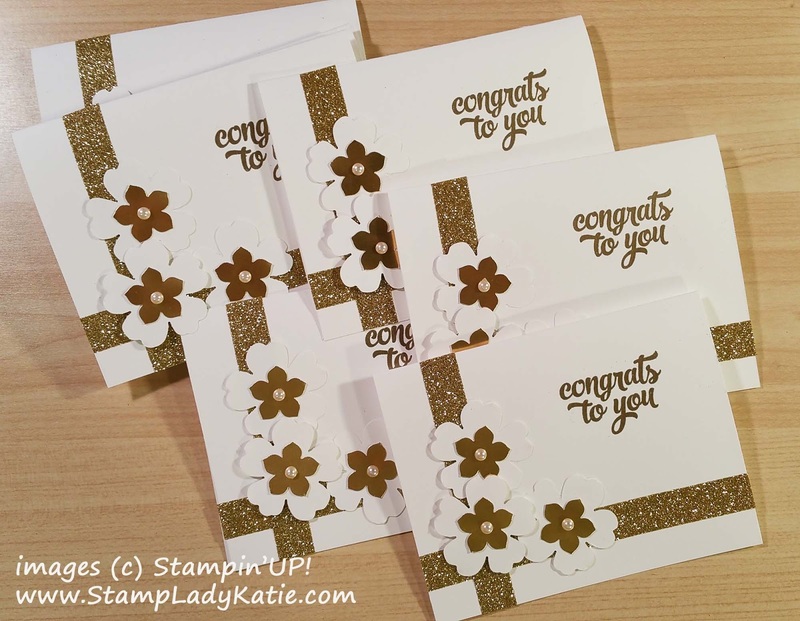 Sale-a-bration Countdown - Only 5 Days Left! 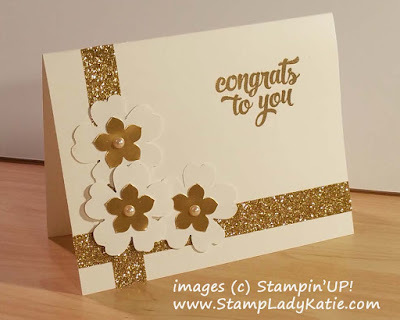 If you want an elegant look to a project consider foil paper and glitter. This card uses both! 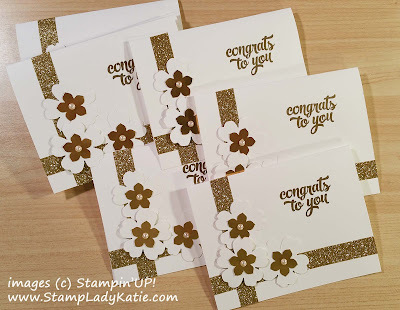 If you've never worked with the foil papers before you're going to love them. They're thick enough to hold the shape well and thin enough to punch really nicely. The front is wonderfully shiny which makes your projects look great and the back of the paper is a matte finish white so you get good adhesion. I popped up my flower layers on foam Dimensionals to give some extra texture to the card. One more thing that adds to the elegance of this project. 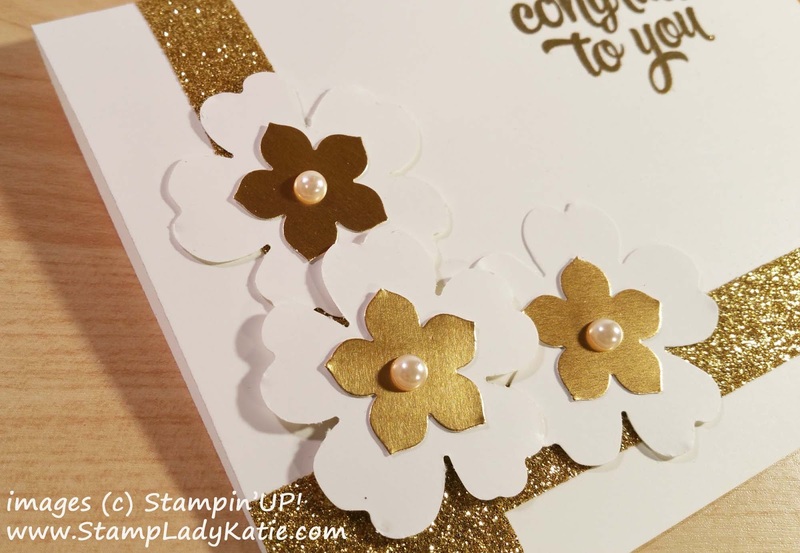 is the Pearl in the center of the flowers (I'm so glad Stampin'UP! 's Pearls are self-stick, it really makes them quick and easy to apply - and BTW they're on sale this week!). Its probably hard to tell from the photos, but I heat embossed the sentiment. And what to you think of the gold glitter tape? The glitter tape is one of this year's Sale-a-bration free choices. OMG I'm in love with this product. I so hope something like this makes it into the new catalog. Its wonderfully easy to work with. I made a bunch of these cards for a demo trade and it took no time at all.